Brooklyn Bridge Park Gets a Pool! 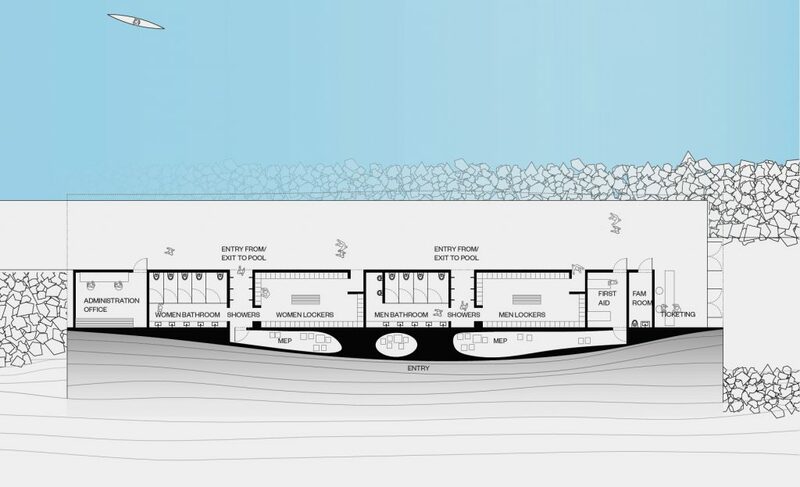 Brooklyn Bridge Park announced plans for a permanent in-ground pool at their park (or just above it, actually!) which officially takes it off our prospective site lists. Their plan is not only a great solution for the community’s desire for a pool there, but it has historic roots: in the 1940s, Squibb Park was once a wading pool. 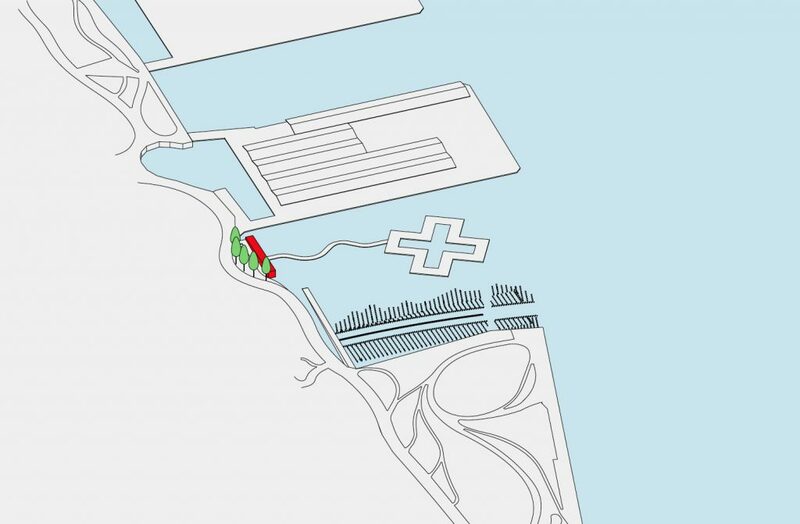 As had already been announced, Brooklyn Bridge Park was one of the sites we were in negotiations with over the past few years, but what is less known (though certainly rumored!) is that we spent a lot of time in 2016 discussing the feasibility of + POOL with the park. 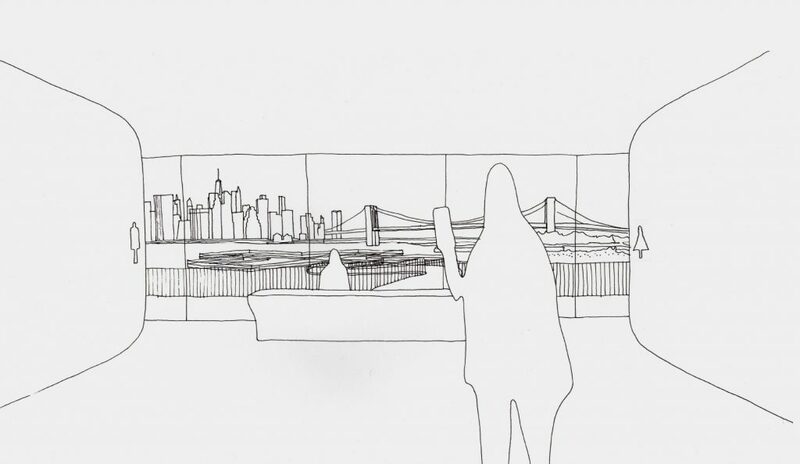 Now that its officially off the table, we thought we’d share some of the site specific designs we came up with for + POOL in Brooklyn Bridge Park. 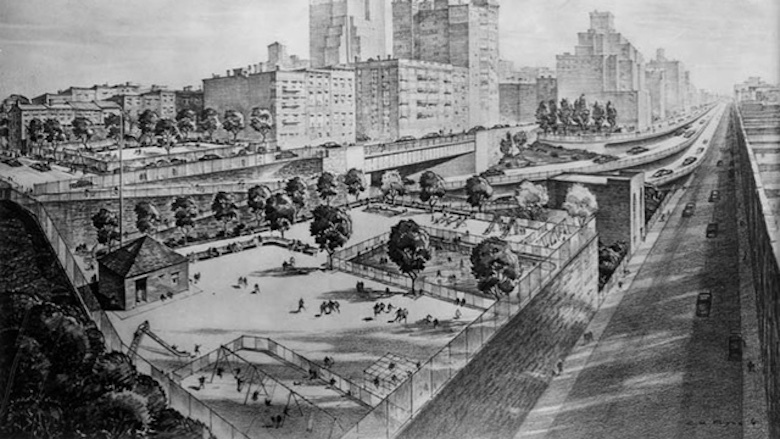 A core challenge was how to incorporate the needed services—showers, locker rooms, etc—into an already designed park. 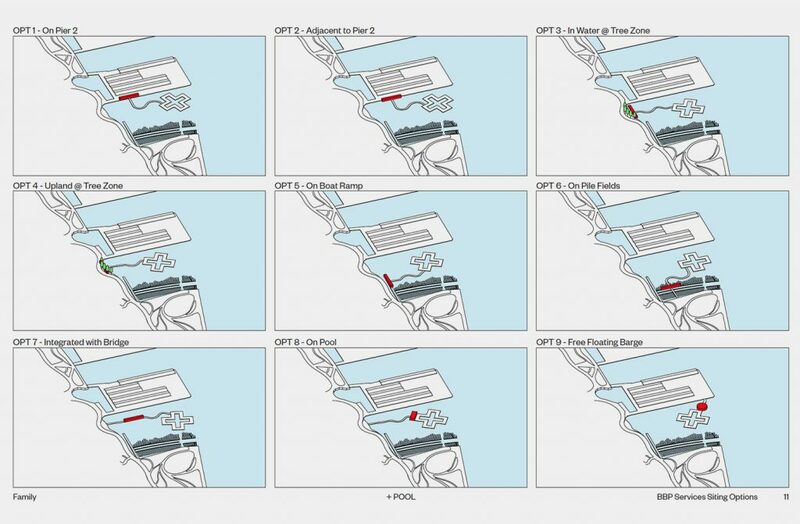 We proposed nine different designs for the services building, assuming the + POOL would be installed between Piers 1 and 2, and eventually narrowed down to two schemes with the park. Integrating into the park presented a bunch of creative challenges with a ton of constraints that made it not so ideal in the end. Throughout the whole process, BBP had a lot on their plate. The park was undergoing construction on three major sections of the park, was engaged in two lawsuits (one of which specifically delayed decisions for a permanent pool at the park), and had a change in leadership. While those challenges had nothing to do with us, they certainly made it difficult to make progress on something as innovative as + POOL. 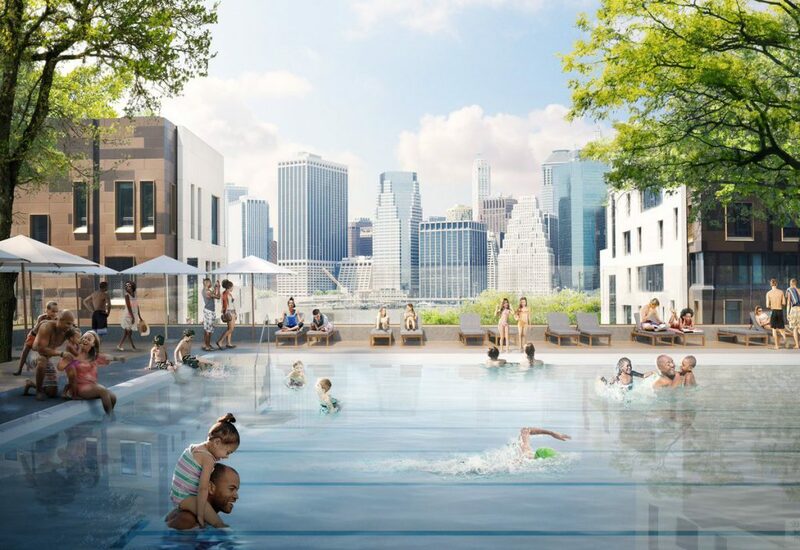 Our friends at Brooklyn Bridge Park definitely deserve a high five working through all that while keeping focused on ensuring the community got a permanent pool. 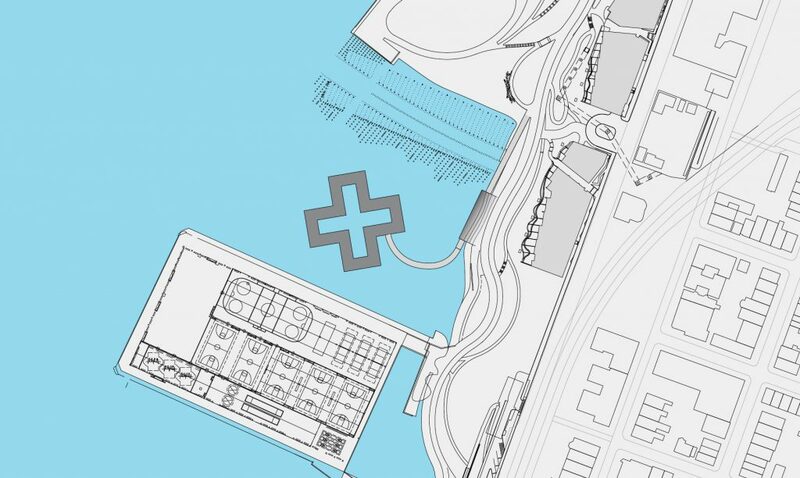 The first rendering we ever made of + POOL back in 2010 (long before we ever even met anyone at Brooklyn Bridge Par) showed the pool floating between the Manhattan and Brooklyn Bridges. It was naive, but we chose that place to paint the vision of + POOL not only because the park is iconic, but has an iconic view. Fortunately, for us and for the rest of the city, there’s a few more waterfront sites with pretty iconic views :). 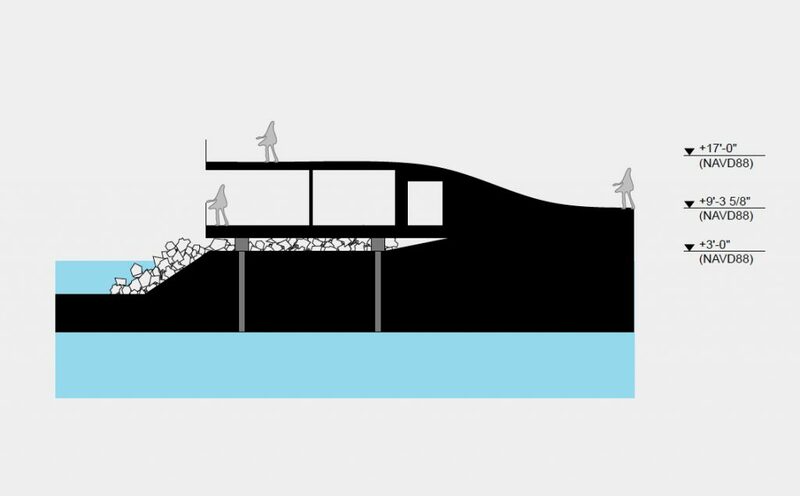 We’re excited for Brooklyn Bridge Park—we know what it takes to figure out how to make these kinds of moves. In the meantime, we’re continuing to work with the Mayor’s Office to identify the best site for + POOL. City Hall has promised us access to a location in the near future, and we’re working every day on holding them to it, so stay tuned for that.